These carbon air ducts will allow you to run your BMW harder while maintaining cooler engine temperatures. The 2x2 carbon weave will compliment your other, or any future, carbon fiber pieces perfectly. Your engine bay will stand out with these carbon fiber pieces that come in a traditional carbon fiber color or in red kevlar. 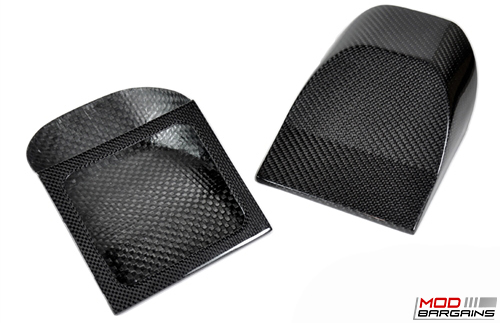 These Dry Carbon Fiber Intake Air Ducts have been designed to mount behind the front kidney grilles of your BMW M3/M4 [F80/F82/F83], to provide you with a "ram-air" effect by utilizing the air intake motion to increase the static air pressure that enters the intake manifold under the hood. This will create greater airflow throughout the entire engine by forcing in cooler air, resulting in lower engine temperatures. 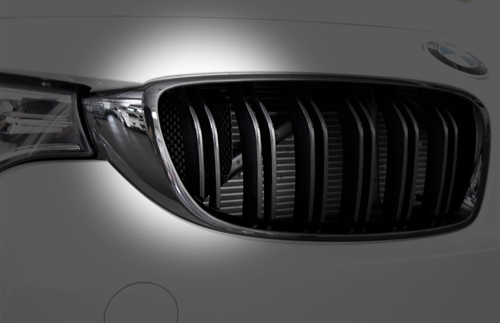 The carbon fiber characteristics also provide a lightweight and aesthetically pleasing appearance to the front end of your BMW. Wrapped in a 2x2 weave, this carbon air duct will compliment your other carbon fiber pieces perfectly. 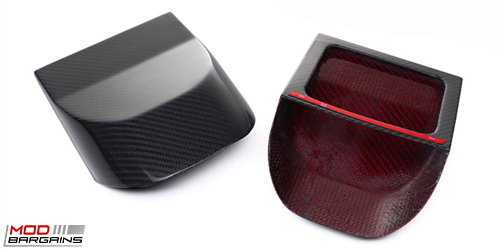 You have the option to choose this air duct in a traditional carbon fiber color or red kevlar.